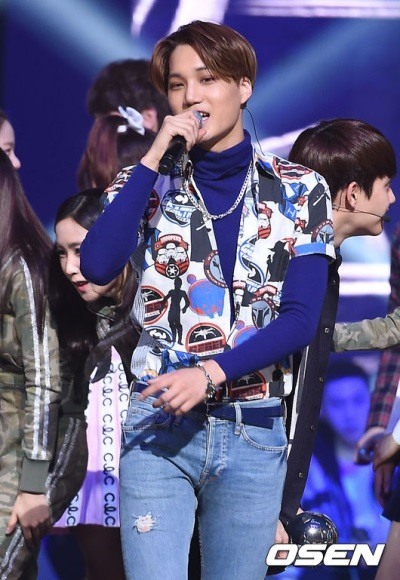 EXO member Kai, whose real name is Kim Jong-in, will star in a new Web drama, local news reported on Monday. In the Web drama “Choco Bank,” produced by Cheil Worldwide, the country’s largest advertising agency, Kai plays Kim Eun-haeng, a recent college graduate who is earnestly looking for a job. The drama will have six 10-minute-long episodes, centering on the recent graduates who decide to open a business, instead of looking for jobs at big companies. This is the first time Kai is taking the lead role in the drama. Last year, he has starred in a Web drama “EXO Next Door” with fellow EXO members.